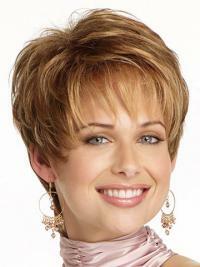 It has short, barely waved layers that graduate to a collar-length, neck-hugging, tapered nape. Style it any way you want - the sheer scalloped front and hand-tied top mean extra-cool comfort and styling versatility. It’s really light and feels great! 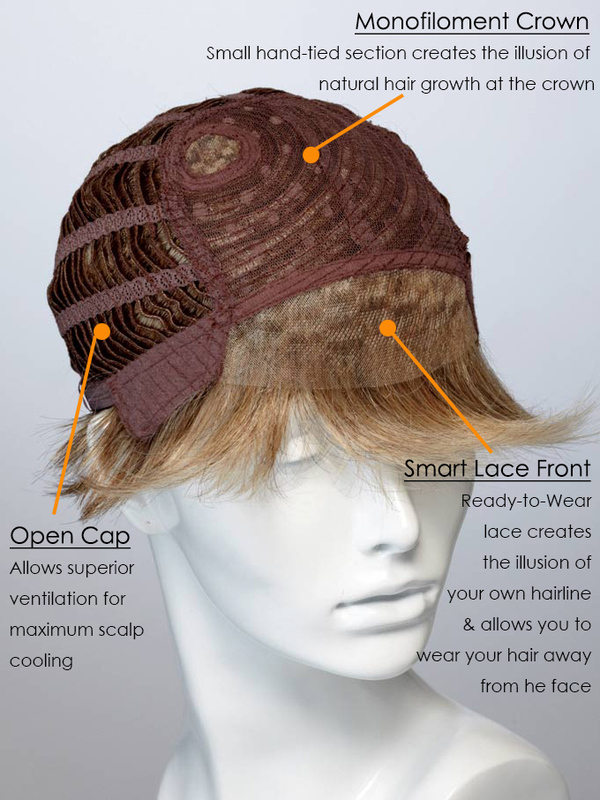 Easy to wear everyday and soft for synthetic type wig. I really like it. I’ll be trying more styles. They fit me pretty well. Pricing is affordable enough to try new styles too. I felt like a new me when I put on this wig. Wow, glad I bought it, The girls at work said your hair ? your Hair? they weren't sure if it was my hair or not, I finally told them it was a wig and they asked, where can I get one? I have been wearing this wig for about 5 years. I am totally bald due to alopecia and found this wig and fell in love with it. My naturally colour is dirty brown but I wear the Copper red colour in this wig. I love the colour and there isn't a day that goes by that I don't get a compliment on my hair. I feel guilty , because I know its a wig but everyone else thinks its my real hair. I don't know what I would do wasn't able to purchase this wig.